The last two weeks have been beyond busy; between the end of sports commitments, preparing to list our house for sale, and getting ready for a month of visiting family in other states I find myself falling into bed not far behind the kids! I knew that getting our house ready to sell would be a busy job, but the reality of it has been more massive than I imagined. I don’t know why I thought it would be easier–since adding Emily to our family I’ve yet to get back into the swing of things. I find that the ‘have to dos’ are piling up much faster than I can dream of accomplishing them. 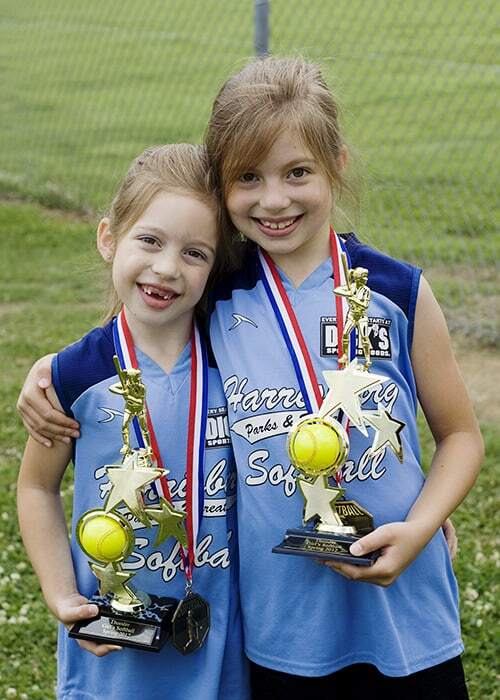 I’ll leave this post with a photo of my biggest girls after winning their softball tournament. Hopefully soon I’ll post more pictures from the end of their season as well as photos of their dance recital.